You want to play where the players play in Las Vegas? 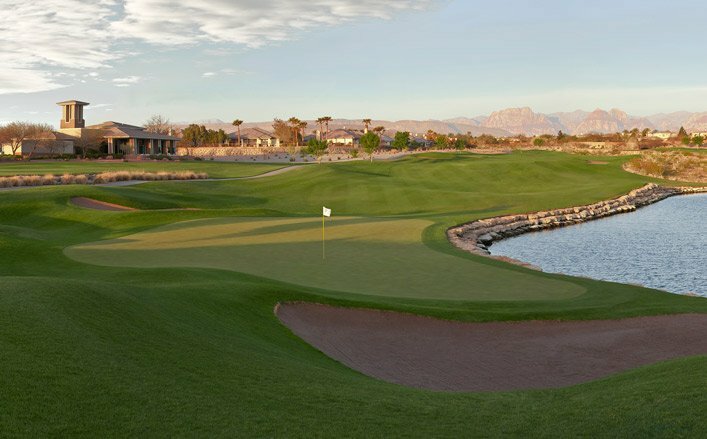 Then you want to play TPC Las Vegas, the PGA Tour-owned resort course that has hosted tournaments on both the PGA Tour and Champions Tour. The legendary pros who have claimed wins when playing Tour events at TPC Las Vegas include Jim Furyk, Stuart Appleby and Hale Irwin, among others. But, you have to ask yourself, are you up for a Tour challenge? 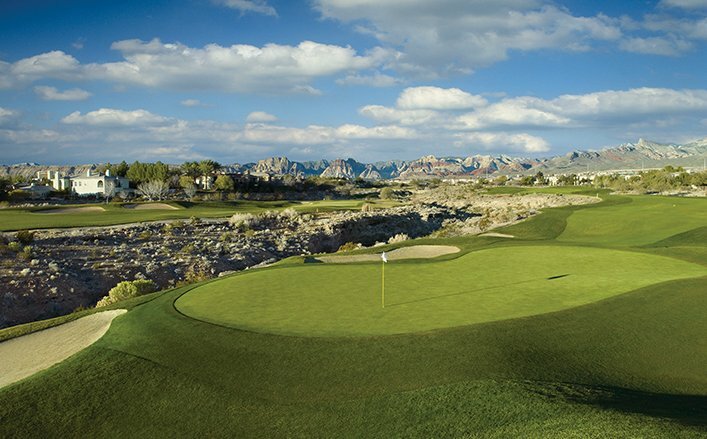 Click to Visit TPC Las Vegas, and Book a Tee Time! You’re in Vegas, so the answer is a flat-out yes! Visiting Las Vegas is like fulfilling a fantasy, from dining at the best restaurants, to gambling like you’re a high roller, to teeing it up at the best courses. 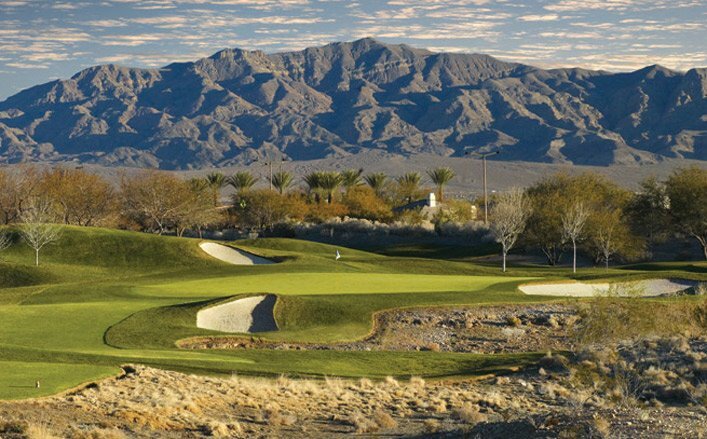 TPC Las Vegas fits that bill from the always Tour-like conditions to the overal experience. 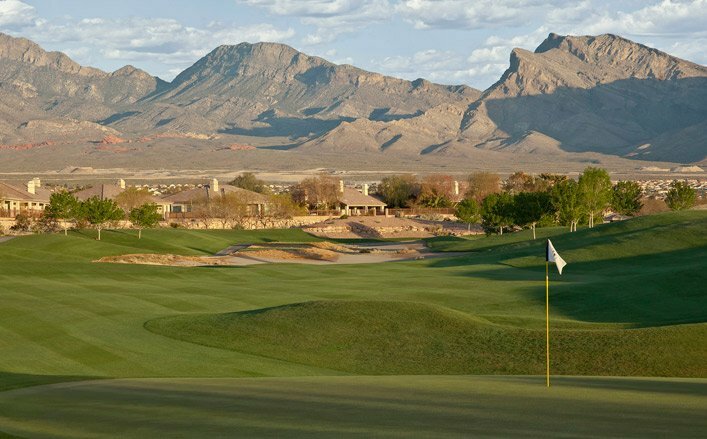 Yes, this course has hosted events on the world’s biggest tours, but that is just part of the reason it is dubbed as the home of pro golf in Las Vegas. These days, the PGA Tour plays all four rounds at sister course TPC Summerlin during the Shriners Hospitals for Children Open, but nearly every Tour pro who lives in Las Vegas (about 20, by the way) plays and practices at TPC Las Vegas. Many are there regularly while others make appearances every so often, but what it adds up to is you never know who you’ll see at TPC Las Vegas. In the past year, just a few who have played there include Nick Watney, Bill Lunde, Charley Hoffman, Dean Wilson, Ryan Moore, and several others. 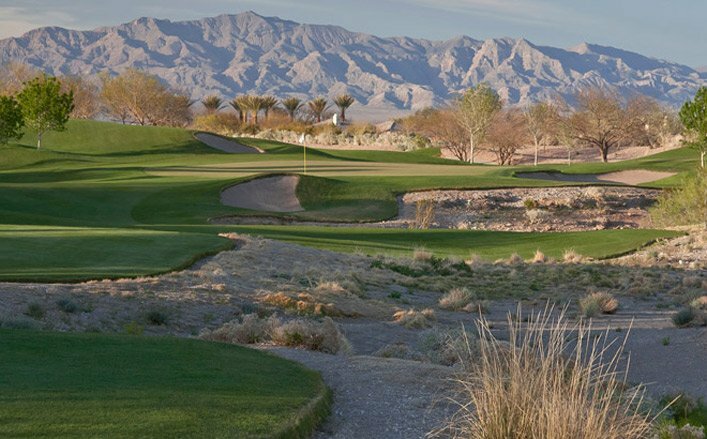 TPC Las Vegas was created by PGA Tour Design Services Lead Architect Bobby Weed with consultation by World Golf Hall of Famer Raymond Floyd, and they created a Las Vegas golf experience that, besides being home to the pros, can be described as desert elegance. 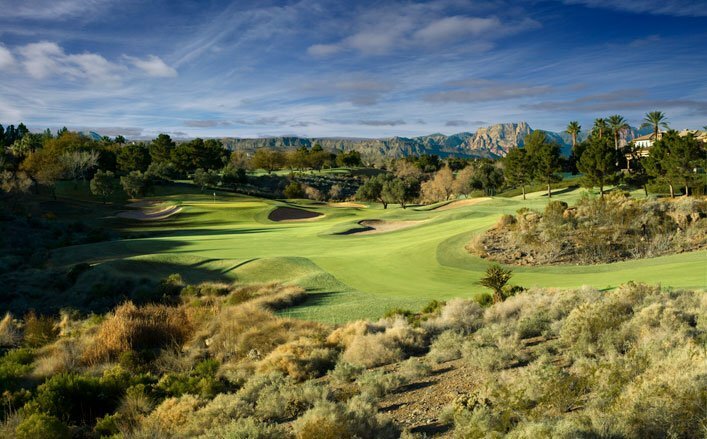 Holes meander through the rugged southwest desert creating memorable golfscapes. All the holes are a challenge and dramatic in their own right, but a few stand out among the rest. The Par 3, 196-yard, 2nd hole is an island green that could be a distant cousin to the 17th at TPC Sawgress but without the water. Desert terrain surrounds the putting surface, making an accurate tee shot a must or the golf ball is gonzo. The par 4, 439-yard, 13th hole features a potential tee shot up and over a canyon to a dogleg right hole, while the par 4, 365-yard, 14th hole is shortish but a desert gorge guards the entrance to the green. 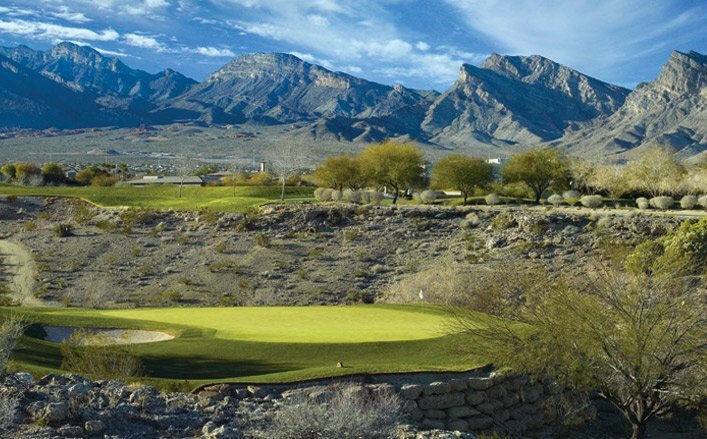 Mountain views decorate the backdrop on both of these tantalizing par 4 holes. So, it’s Vegas baby, and this course has the city in the name. It’s the home of the pros. Will it be your golf home away from home?